Here is an age old wonderful story. Bit, of a long one but, worth reading. The hermit lived in a wood which he never quitted, and he received none but common folk. So the King put on simple clothes, and before reaching the hermit's cell dismounted from his horse, and, leaving his body-guard behind, went on alone. The King went up to him and said: "I have come to you, wise hermit, to ask you to answer three questions: How can I learn to do the right thing at the right time? Who are the people I most need, and to whom should I; therefore, pay more attention than to the rest? And, what affairs are the most important, and need my first attention?" The hermit listened to the King, but answered nothing. He just spat on his hand and recommenced digging. "You are tired," said the King, "let me take the spade and work awhile for you." "Thanks!" said the hermit, and, giving the spade to the King, he sat down on the ground. "Now rest awhile-and let me work a bit." "I came to you, wise man, for an answer to my questions. If you can give me none, tell me so, and I will return home." "Here comes someone running," said the hermit, "let us see who it is." fell asleep--so soundly that he slept all through the short summer night. When he awoke in the morning, it was long before he could remember where he was, or who was the strange bearded man lying on the bed and gazing intently at him with shining eyes. "Forgive me!" said the bearded man in a weak voice, when he saw that the King was awake and was looking at him. "I do not know you, and have nothing to forgive you for," said the King. "You do not know me, but I know you. I am that enemy of yours who swore to revenge himself on you, because you executed his brother and seized his property. I knew you had gone alone to see the hermit, and I resolved to kill you on your way back. But the day passed and you did not return. So I came out from my ambush to find you, and I came upon your bodyguard, and they recognized me, and wounded me. I escaped from them, but should have bled to death had you not dressed my wound. I wished to kill you, and you have saved my life. Now, if I live, and if you wish it, I will serve you as your most faithful slave, and will bid my sons do the same. Forgive me!" The King approached him, and said: "For the last time, I pray you to answer my questions, wise man." "You have already been answered!" said the hermit, still crouching on his thin legs, and looking up at the King, who stood before him. "How answered? What do you mean?" asked the King. Do you not see," replied the hermit. "If you had not pitied my weakness yesterday, and had not dug those beds for me, but had gone your way, that man would have attacked you, and you would have repented of not having stayed with me. So the most important time was when you were digging the beds; and I was the most important man; and to do me good was your most important business. Afterwards when that man ran to us, the most important time was when you were attending to him, for if you had not bound up his wounds he would have died without having made peace with you. So he was the most important man, and what you did for him was your most important business. Remember then: there is only one time that is important-Now! It is the most important time because it is the only time when we have any power. The most necessary man is he with whom you are, for no man knows whether he will ever have dealings with any one else: and the most important affair is, to do him good, because for that purpose alone was man sent into this life!" This is a story I heard involving Alexander the great. While, the authenticity of the story cannot be verified, what is more important is the meaning and take home message from this story. Once, Alexander happened to visit Vrindavan and saw a small hut of a Babaji ( a saintly person). Apart from being a great warrior, being a student of Aristotle, Alexander had this fascination for spirituality and saintly people. He wanted to meet this person in the hut. Alexander ordered one of his soldiers to go to the Sadhu and tell him to come and meet him. The soldier went and came back promptly told him that the person in the hut, does not know, who Alexander is and sees no need for him to come and meet him. But, if he is interested, he can come and meet him. Alexander was angry with the words of his soldier and rebuked him. “Did you tell him? Properly explain him, who is waiting to meet him?” And ordered the soldier to go back and explain, and convince the saintly person to come out of the hut and meet him. The soldier went and came back again and with great hesitation told Alexander that the Babaji knows no king other than Krishna. By now, Alexander was infuriated and barged into the hut of this Babaji. As soon as he entered the hut, he heard a voice which said “Welcome servant of my servant”. Now, this was too much and Alexander took out his sword, placed it on the neck of the Babaji and said furiously “How dare you call me servant of your servant”. But, seeing the serene and undisturbed face and expression of the sadhu, Alexander removed his sword and waited for the answer patiently. The Babaji explained – My dear King, I have these things, Lust, anger, Greed under my control and I am not affected by them. Since, you became so angry and affected by anger; you automatically became a servant of anger. Because, Anger is my servant who is currently controlling you and that is why, I called you as the Servant of my Servant. That’s why the saintly people are called as Gosvamis, one who has their senses under control and also Maharaja because, even though they do not own a kingdom, they have control of the mind, body and its senses, which actually control majority of people in the world including Kings, Ministers etc. "Sri Krishna said: O Arjuna, There are three gates leading to the hell — Lust, Anger and Greed. Every sane man should give these up, for they lead to the degradation of the Soul." 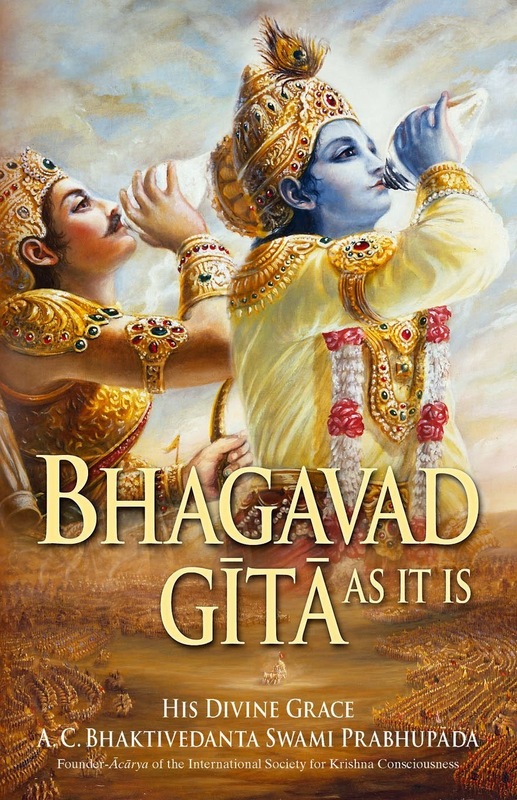 Bhagavad Gita is called a yoga-shastra, because yoga is taught in it. In Fact, the name of all eighteen Chapters ends with word Yoga. But, the word Yoga, I am not implying the most common misnomer or exercises for the body. The word Yoga is perhaps the most widely misunderstood term and most of the times people consider that doing some postures, controlled breathing and the body and generally practiced for the physical health. I also heard many other terms like, Hot Yoga and even Hip hop Yoga. So going with what most people generally think Yoga is - Physical exercise and breathing is actually a part of Astanga Yoga, which involves controlling the mind and following the Asta angas or eight limbs like, Yama, Niyama,Asana, Pranayama,Pratyahara, Dharana,Dhyana, Samadhi.Then, apart from Astanga Yoga, there are other yogas explained in Gita, which are like Karma Yoga - Yoga of work and renunciation, Jnana Yoga - Yoga of knowledge, Bhakti Yoga - Yoga of devotional service. The word “yoga” is used 78 times in the Bhagavad Gita, Including variants like “yogi” (found 28 times) and yukta(found 49 times),it appears 155 times. The word yukta which means connected. Yogi is one who practices yoga, Yukta is one who is connected(with the Supreme God). The total number of Chapters in Bhagavad Gita is 18 and the number of verses is 700. Thus, 20% of Gita's verses have the word yoga or its related forms. Apart from direct mention of the word Yoga, Lord Krishna talks about Yoga, what is a Yoga, who is a yogi etc in number of verses. Just to give you a feel, I have given below a list of few verses from initial chapters of Bhagavad Gita. Bg 2.48 — Perform your duty equipoised, O Arjuna, abandoning all attachment to success or failure. Such equanimity is called yoga. Bg 2.50 — A man engaged in devotional service rids himself of both good and bad reactions even in this life. Therefore strive for yoga, which is the art of all work. Bg 4.28 — Having accepted strict vows, some become enlightened by sacriﬁcing their possessions, and others by performing severe austerities, by practicing the yoga of eightfold mysticism, or by studying the Vedas to advance in transcendental knowledge. Bg 4.42 — Therefore the doubts which have arisen in your heart out of ignorance should be slashed by the weapon of knowledge. Armed with yoga, O Bhārata, stand and ﬁght. Bg 5.4 — Only the ignorant speak of devotional service [karma-yoga] as being different from the analytical study of the material world [Sankhya]. Those who are actually learned say that he who applies himself well to one of these paths achieves the results of both. Bg 6.2 — What is called renunciation you should know to be the same as yoga, or linking oneself with the Supreme, O son of Pandu, for one can never become a Yogi unless he renounces the desire for sense gratiﬁcation. Bg 6.18 — when the yogi, by practice of yoga, disciplines his mental activities and becomes situated in transcendence – devoid of all material desires – he is said to be well established in yoga. Bg 6.20-23 — In the stage of perfection called trance, or samadhi, one’s mind is completely restrained from material mental activities by practice of yoga. This perfection is characterized by one’s ability to see the Self by the pure mind and to relish and rejoice in the Self. In that joyous state, one is situated in boundless transcendental happiness, realized through transcendental senses. Established thus, one never departs from the truth, and upon gaining this he thinks there is no greater gain. Being situated in such a position, one is never shaken, even in the midst of greatest difﬁculty. This indeed is actual freedom from all miseries arising from material contact. Bg 6.28 — Thus the self-controlled yogi, constantly engaged in yoga practice, becomes free from all material contamination and achieves the highest stage of perfect happiness in transcendental loving service to the Lord. Bg 6.47 — And of all yogi, the one with great faith who always abides in Me, thinks of Me within himself and renders transcendental loving service to Me – he is the most intimately united with Me in yoga and is the highest of all. That is My opinion. (Translation of the Verses by His Divine Grace Srila Prabhupad – Bhagavad Gita As it is. Thus by the sheer number of times, the word Yoga being repeated and the essence of the teachings of Gita, we can understand that Bhagavad Gita is a Yoga Shastra or a scripture that endows one with knowledge of Yoga. This year, the Ratha Yatra of Lord Jagannath was celebrated on February 8th. 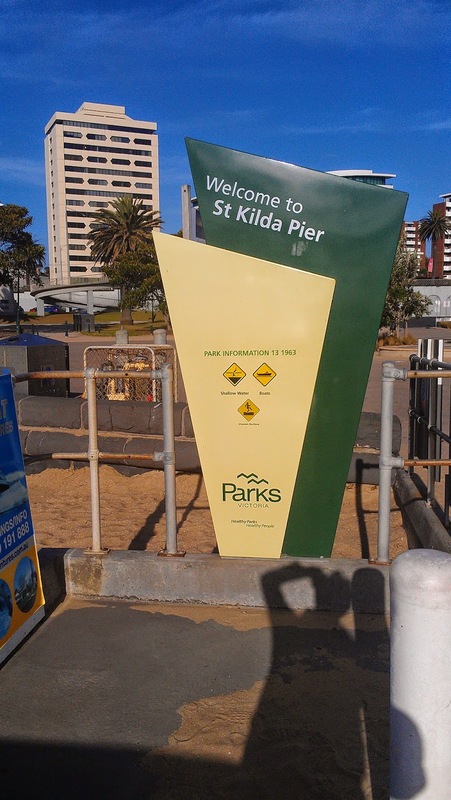 The procession was organised as a part of the St Kilda Festival, which is one of the biggest free Music festivals and the venue was Catani Gardens at St Kilda. 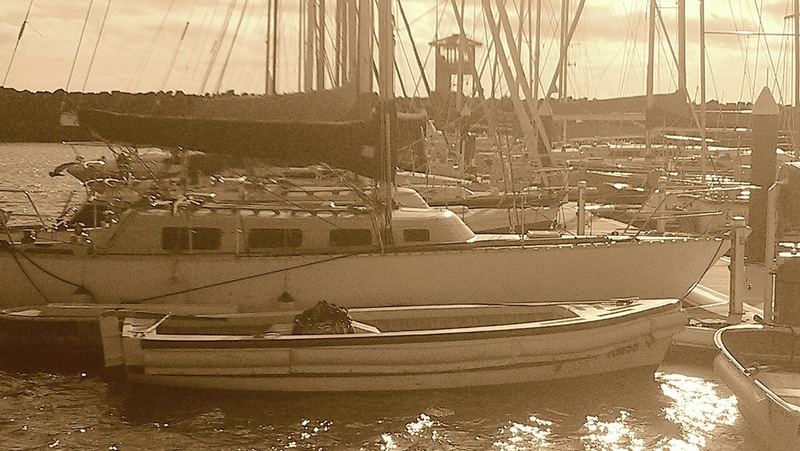 It was a pleasant and perfect day of 25 Degrees and a mild wind blowing from the ocean. Jagannath meaning "Lord of the Universe" set out in the procession with his elder brother Balaram and Subhadra. The Skanda Purana relates King Indradyumna’s quest to find a deity form of Krishna after dreaming of a beautiful blue deity named Nila Madhava.Disguised an old man, Vishvakarma, the architect of the demigods, arrived to carve the deities under the condition that he would remain undisturbed for twenty-one days. King Indradyumna consented, and the artist worked behind locked doors. Before the time period was up, however, the noise stopped, and King Indradyumna’s intense curiosity prompted him to open the doors. Vishvakarma had disappeared. In the room, the three deities of Jagannatha, Baladeva, and Subhadra looked as if unfinished—without hands or feet—and Indradyumna became greatly perturbed, thinking he had offended the Lord. Devotees now worship the same “unfinished” forms of Jagannatha, Baladeva, and Subhadra in Puri and in temples around the world. These forms are part of their eternal pastimes. The Utkala-khanda of the Skanda Purana gives another account related to Krishna’s appearance as Jagannatha. (Utkala is the traditional name for Orissa.) Once, during a solar eclipse, Krishna, Balarama, Subhadra, and other residents of Dwaraka went to bathe in a holy pond at Kurukshetra. Knowing that Krishna would be there, Srimati Radharani, Krishna’s parents Nanda and Yashoda, and other residents of Vrindavana, who were burning in the fire of separation from the Lord, went to meet Him. Inside one of the many tents the pilgrims had set up at Kurukshetra, Rohini, Lord Balarama’s mother, and narrated Krishna’s Vrindavana pastimes to the queens of Dwaraka and others. The residents of Dwaraka are said to be in the mood of opulence (aishvarya), and they worship Krishna as the Supreme Lord. But the residents of Vrindavana are in the mood of sweetness (madhurya), and they have a confidential relationship with Krishna that surpasses awe and reverence because it is based on friendship and love. Rohini’s narration was thus extremely confidential, so she posted Subhadra at the door to prevent anyone from entering. Krishna and Balarama came to the door and stood on Subhadra’s left and right sides. While listening to Rohini’s narration of Krishna’s intimate Vrindavana pastimes, Krishna and Balarama became ecstatic, and Their internal feelings were exhibited externally. Their eyes became dilated, Their heads compressed into Their bodies, and Their limbs retracted. Seeing these transformations in Krishna and Balarama, Subhadra also became ecstatic and assumed a similar form. Thus, by hearing about Krishna’s pastimes in Vrindavana, Krishna and Balarama, with Subhadra in between, displayed their ecstatic forms of Jagannatha, Baladeva, and Subhadra. It is said that the participants in the festivities will be blessed immensely by Lord Jagannatha (Krsna) such as (1) By the sight of Jagannatha's merciful large two eye globes, the devotee will be blessed with astute purity of mind and spiritual elevation; (2) Observing the rathayatra will dissipate the sins committed by the embodied person in the past births; (3) The accompanying person in the rathayatra will receive opulence at par with Lord Vishnu even if he hails from a poor family; (4) Dancing, singing and chanting in the rathayatra entourage, the participant will be elevated to a level superior to yogis; and (5) Active participation in the rathayatra by any means will receive the utmost blessings of Lord Jagannatha. For a brief history of Rath Yatra, the internal meaning and the glories of participating, appreciating or simply looking at Rath Yatra, please refer to my last year’s blog article. 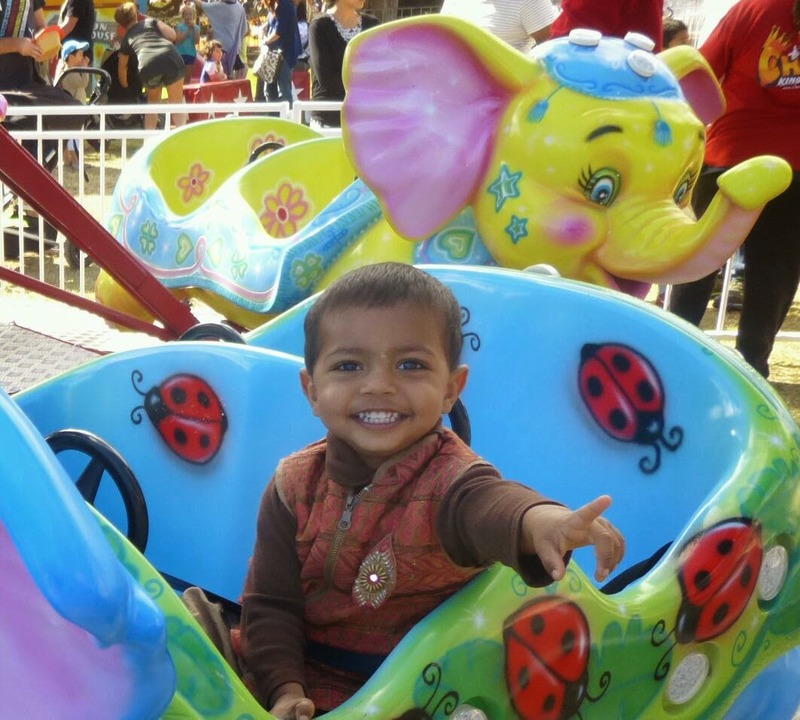 For further details of the event, conducted by ISKCON at Melbourne, please visit the below link. This one is quite close to my house but I have never been there. 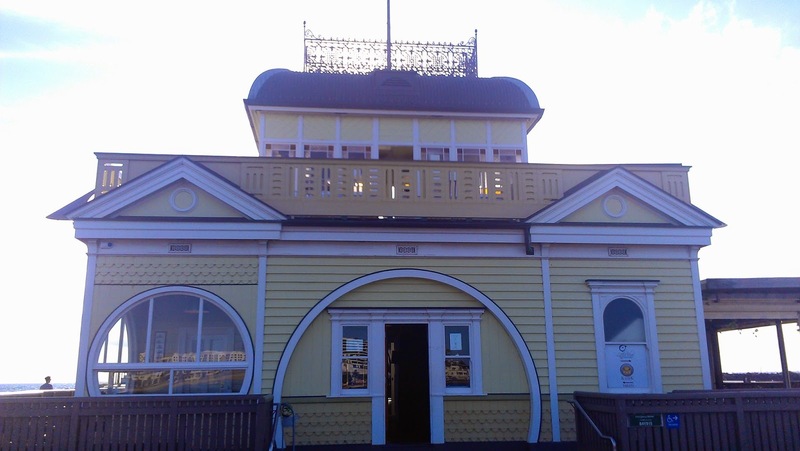 It is still a good 2K walk along the beach, before I reached the historic St Kilda Pavilion Kiosk. I was surprised by the fact that, this place is the home for the small Penguins that we usually see at Phillip Island. I did not stay long enough (they come after sunset) but, I decided to visit again some other time. Then, there are number of private boats stationed and you can walk on the docks for free between 9AM-5PM and after that it’s closed for public access. I was told that up to 100 Penguins made this place their home. I have also noticed number of people Cycling, Kiteboarding and rollerblading. 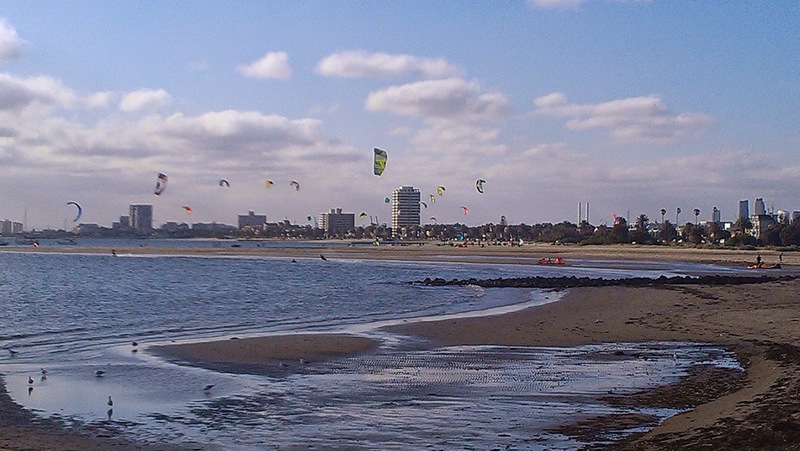 There are couple of places where the Kiteboarding lessons are given and I guess, this is an exciting sport. 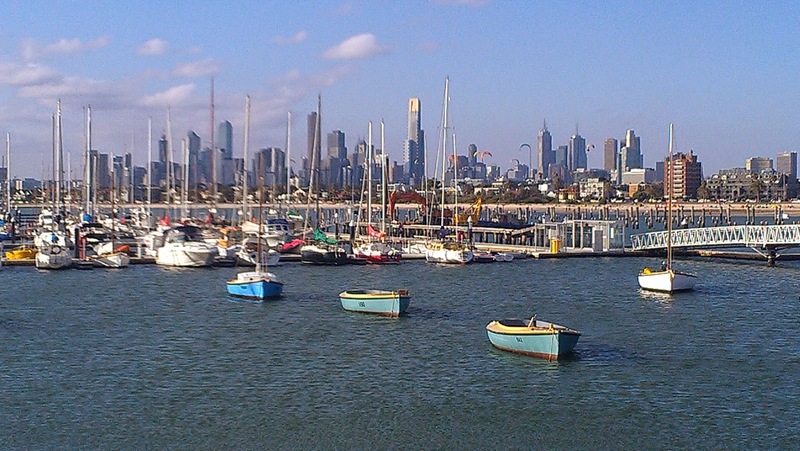 On the whole, it’s a nice place to walk around, chill out and spend your time relaxing and the best part is that, all so close to the Melbourne city.